What turned out to be our biggest event today was a visit to Aunt Gia's family pool. Porter finally had that "ah-ha! moment" and can be counted as a swimmer! He was so excited and proud of himself, as were all of us! He wasted no more time in the shallow end and fearlessly threw himself off the diving board repeatedly. We also continued in our vacation eating habits with a fabulous meal at a downtown restaurant that Brian recommended. 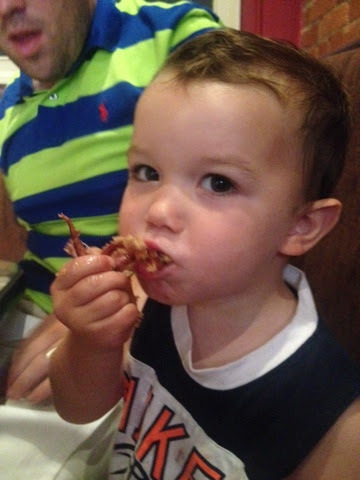 We discovered that Gio likes calamari as he pounded through the platter. 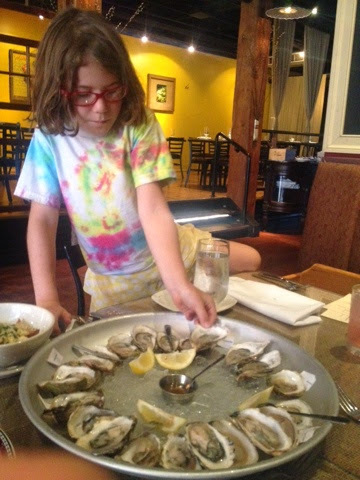 We also had a few oysters. 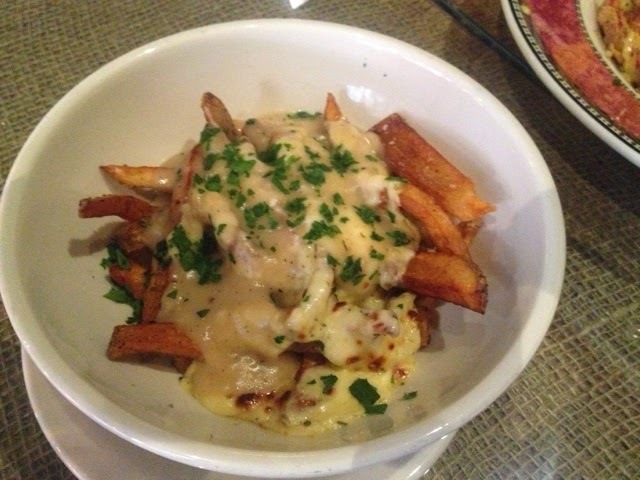 I sampled Poutine for the first time; it was deliciously bad for you. 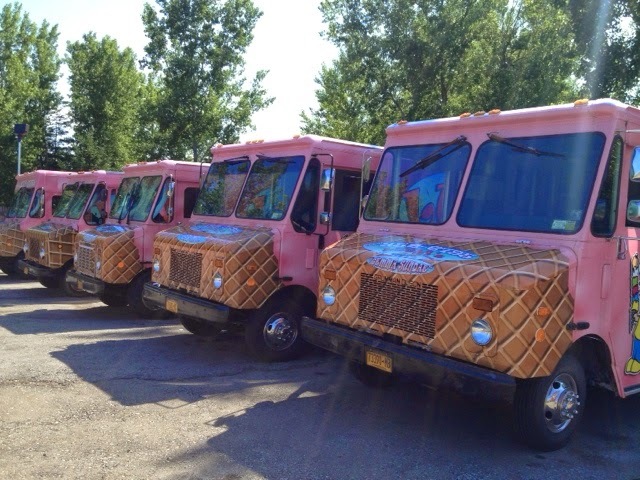 As if that were not enough saturated fat for the day, we squeezed in a visit to inventory the fleet of ice cream trucks and sample their wares.